Turbid designs, installs and manages innovative stormwater treatment systems for landfills, mines, quarries and construction sites in Australia. The primary product they offer is the HES (High Efficiency Sediment) Basin, utilising the automatic coagulant dosing system IFOD (intelligent flocculating operational device). The company has revolutionised the way their clients treat water, transitioning them from batch treatment systems to continuous flow, through the use of IoT supported dosing and monitoring technology. Turbid has previously won the international Ovum on the Radar award in 2014 for Cloud and Infrastructure Transformation for its use of IoT on its stormwater systems. 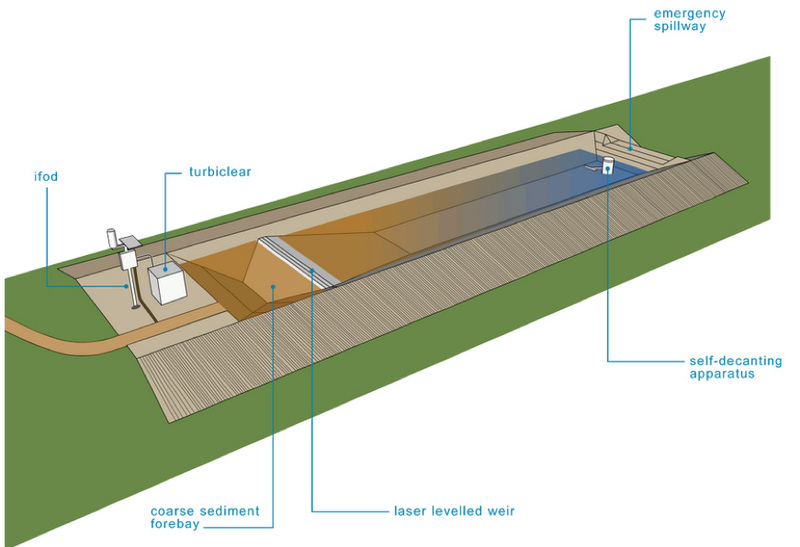 Eagle.io data management, visualisation and remote control platform forms an integral and enabling component of the Turbid stormwater solution. Butch Uechtritz, CEO of Turbid said of the eagle.io platform - "eagle.io technology is brilliant- we finally have a reliable, user friendly data and control platform to interrogate and manage our systems with. This platform saves us and our clients a lot of time and expense." Image 1 Schematic of HES Basin (Image compliments of Turbid). The founders of Turbid identified that the current method used by landfills, quarries and construction sites for the treatment of sediment laden water was ineffective. Historically, dirty stormwater on these sites was drained to an excavated hole at the lowest point of on the site, which on large sites could be hold the equivalent of 50 olympic-sized swimming pools. After each rainfall, construction workers would try and settle out dirt from the water by adding pool chemicals like Alum (which often acidifies the water) or Gypsum (which requires truckloads of the compound to work). Eventually, when it was clean, they would test it and then pump the water out. It was very difficult to treat standing bodies of water – which meant sometimes the water didn’t get clean. Batch basins were ineffective, only capable of treating 20% of runoff even when operated correctly. They require manual labour over a number of days (which doesn’t occur on weekends and holidays). They occupy a large footprint on the site (up to 16% on landfills in Queensland). The record keeping requirements to demonstrate compliance were complex, and very rarely kept by clients resulting in exposure to prosecution. Turbid has developed a continuous flow stormwater treatment system leveraging low cost remote monitoring control systems powered by eagle.io. Unlike batch systems, the Turbid HES Basin doses dirty water with their Turbiclear product as it flows into the basin by either directly measuring inflow rates, or by estimating based on site rainfall and site runoff characteristics. The water is treated by settling the water through a number of connected cells that provide ideal settling conditions. The clean settled water is then skimmed and passively discharged from the outflow point of the basin where water quality is measured in-line. Should the water quality not meet set licence criteria, the passive discharge is shut off until further settlement occurs (which may occur during short burst of heavy rain during a longer event), and site operators and Turbid are notified. 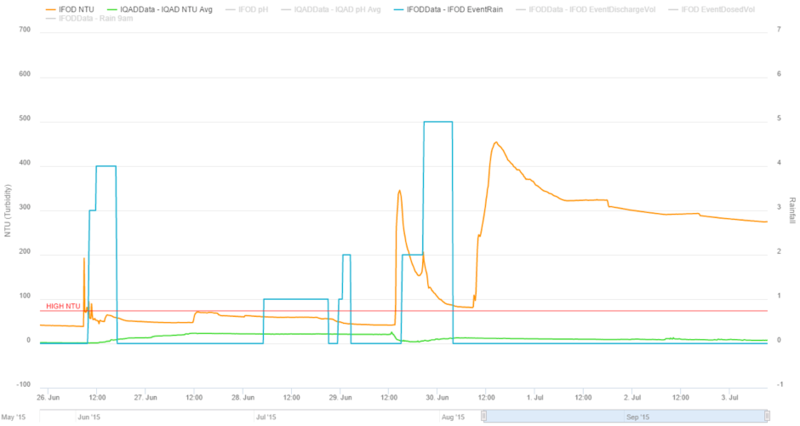 Data on inflow quality and quantity, dose rates and volumes, and discharge water quality etc., is securely captured and made available for interrogation on demand using the native graphs in eagle.io. It can also be exported for more detailed analysis, comparison and reporting. 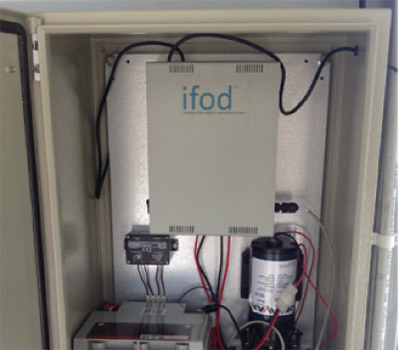 Image 2 (left) ifod enclosure undergoing testing on setup. ‍Image 3 (right) Internal photo of ifod showing data loggers and controllers streaming data to eagle.io. Eagle.io keeps secure time series records needed to demonstrate to a regulator that the system has performed as per licence conditions. 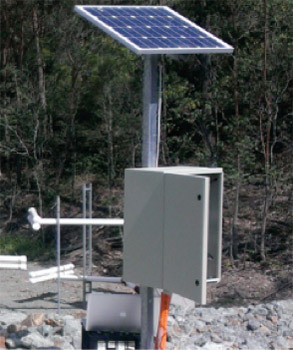 To do this it monitors and stores discharge water quality at the floating offtakes (pH, EC, turbidity), and shows that the shut-off valve has triggered in if the quality at the discharge point exceeds the set limits. The native graphical visualisation allows a regulator or site operator to zoom in on rainfall events of interest to get information in great detail. Image 4 A screen shot of real time visualisation of Data streaming to eagle.io from a Turbid IFOD (installed on a HES Basin). Inflow (orange) and Outflow (Green) turbidity, Rainfall Intensity (Blue) and Licence limit Control Line (Red) from a Turbid HES basin. Through its notification functions, eagle.io informs both Turbid and site operators if maintenance is required, or if unusual site conditions are occurring that need corrective action. It allows site operators and Turbid management to quickly log in and check key health parameters (such as battery charge and input from solar panels) to enable maintenance as needed – rather than as scheduled - offering potentially significant cost savings for clients. Eagle.io provides estimates of coagulant use, allowing Turbid to more efficiently schedule deliveries to the client site, again offering significant potential cost savings for clients by avoiding unnecessary product purchase and storage but also ensuring sufficient quantity is always available for rain events.